How do I connect my FedEx Account to the Test Environment? If you need to know how to get these credentials, we've prepared a step-by-step guide below. 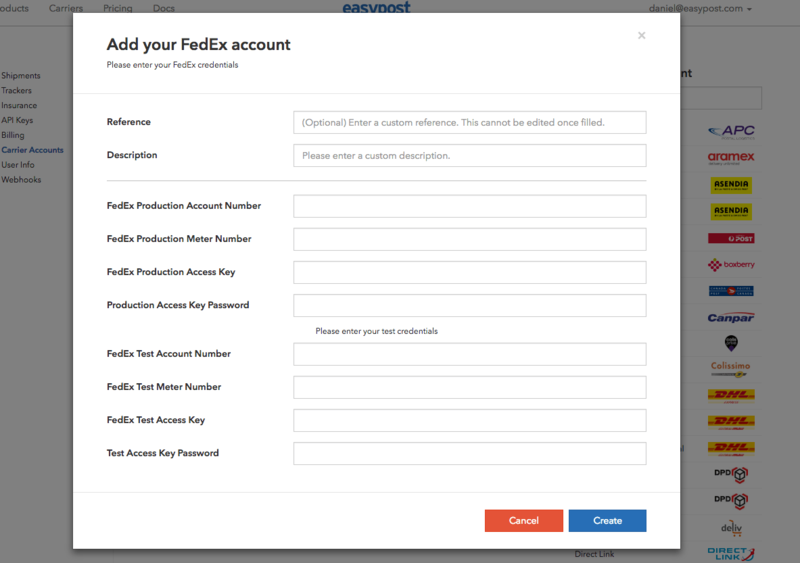 If you do not have a FedEx Developer Account, you'll need to create one in order to integrate your FedEx account with EasyPost anyway. 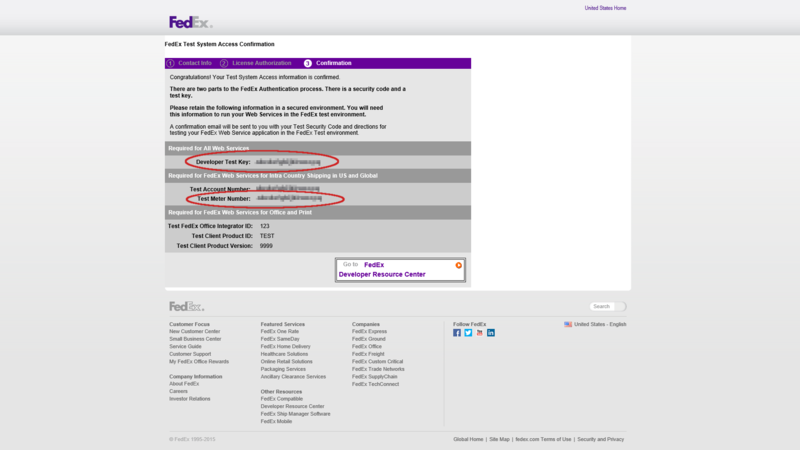 Once you log into your FedEx Developer Account, click on the following links from your account homepage: FedEx Web Services --> Develop and Test --> Get Your Test Key. Complete the form and ensure you select Global and US, then accept the agreement to continue. If you need to create test labels for intra-country addresses within European countries, make sure you select that country in addition to a US and Global account number. After completing the form, you should see a screen like the one below. Copy down your Developer Test Key, Test Account Number, and Test Meter Number. Log into your EasyPost account, and select FedEx from the Carriers Tab. You'll then see this modal pop up. Enter all of your Test Credentials into the Modal, then click on "Create." From this point on, you should be able to start printing Test Labels with FedEx using EasyPost's test environment.